Hi friends! Happy Monday, and happy WSU! Welcome to Winter Shape Up 2016: a perfect chance to revamp your fitness routine, thrive from healthy eats, and revitalize your love for healthy living. Whether you’re looking to achieve a fitness, fat loss, lifestyle, or energy goal, hopefully this plan will provide you with steps, ideas and inspiration along the way. – I’ve been doing the Shape Up plans on my blog for years as a way to share free fitness and meal plans with my readers. 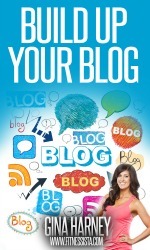 I’m so happy Anne has joined in the fun to share her expertise as a Registered Dietitian. She’s my WSU partner in crime, and we love being able to put together these plans for you all. Each week, for the next 4 weeks, Anne and I will be posting free full workout schedules, meal plans, videos, printables and grocery lists. -Nutrition. Eat like a PRO: meaning you’re going to emphasize PROtein and PROduce. Anne has a variety of delicious, healthy and satisfying recipes in the meal plan with vegan and gluten-free options. 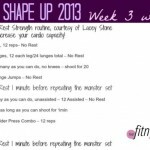 -Be a cheerleader for yourself and other Winter Shape Up participants. Make sure to check in each morning with your workout, pics of your healthy eats and to cheer each other on! 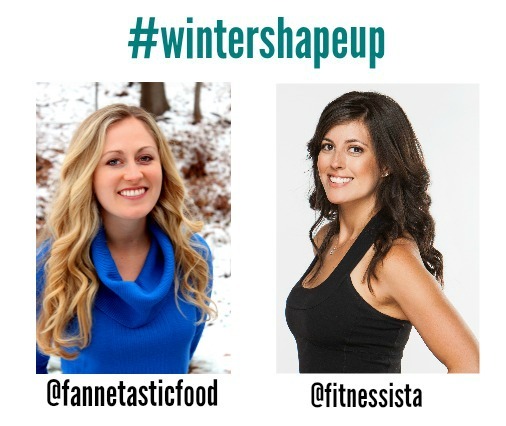 The comments are a great option (which is how you’ll enter the giveaways), or if you’d like to tweet/Instagram, use the hashtag #wintershapeup and tag us @fitnessista @fannetasticfood. 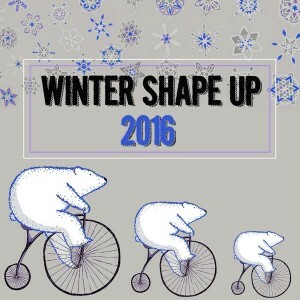 The Winter Shape Up will run from Monday, January 25 to Sunday, February 21, 2015. Here are links to all the content (this page will be updated as the new pages are published). How do I keep track of all of the deliverables and info? It seems like a lot! 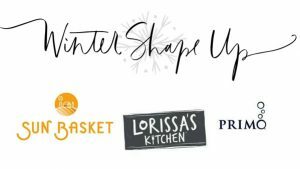 This page that you’re currently reading (the Intro post) will be your home base for ALL things Winter Shape Up-related. 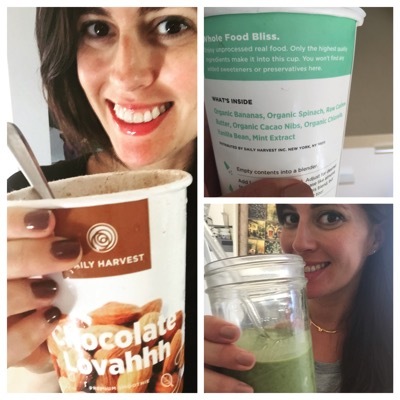 Each week’s meal ideas and workouts, plus any giveaways will all be linked here. If you’re joining in, keep this page in a safe place (bookmark it, Pin it, keep it in your pocket) so that you can easily access all of the info. I’ll also add a widget to this page at the top of the blog (on the upper right side bar). 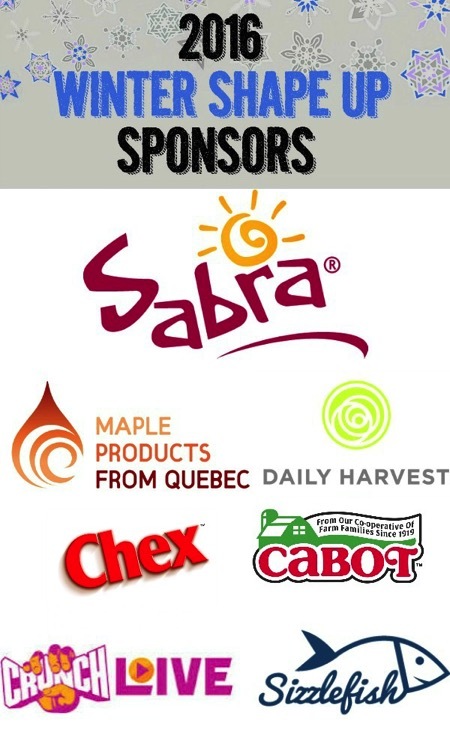 This week’s featured sponsor is Daily Harvest! I’ve been obsessed with their smoothies for a while now, and am so excited to share them with two lucky winners. 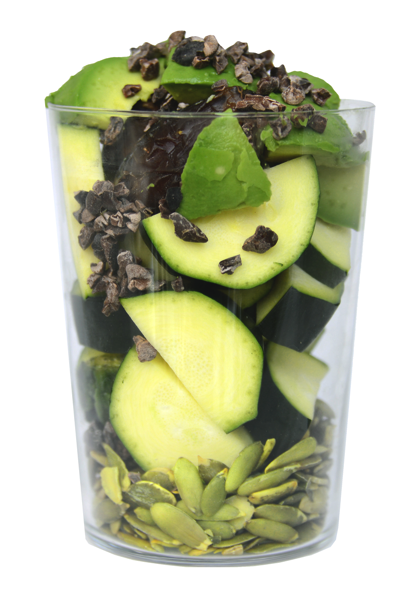 Each blend contains a mixture of fruit, healthy fats and superfoods. Add you do is add liquid in a blender, blend it up, and enjoy! The combos are soooo delicious, and I especially love that they don’t use any added sugars or preservatives; just whole, REAL foods. You can add protein powder to the smoothies, but I find that I almost never want to do that. They taste amazing on their own, and have a great mix of greens, fruit, and energizing super foods. Everything is picked at the peak of freshness and flash frozen, and the ingredients are non-GMO and organic whenever possible. 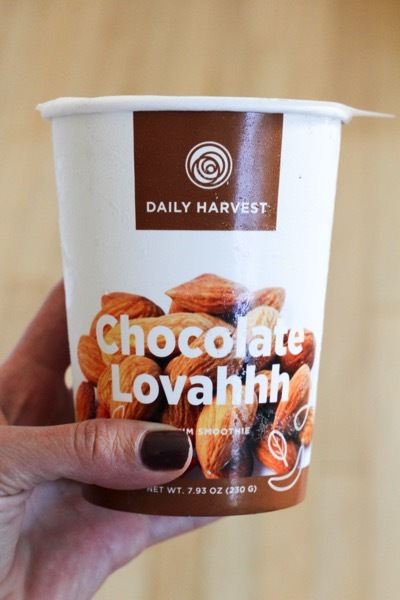 One of my favorite things about Daily Harvest is the convenience and accessibility. For example, I love maca, but it isn’t really worth it for me to have a giant bag in the pantry to sprinkle into oats and smoothies. Also, when I make a smoothie, it’s fast and furious. This makes it so much easier to put the container in the blender, add almond milk or coconut water, and blend. If the container is two servings worth, it usually works out well because my tiny smoothie bandit (Liv) will claim it as her own. Some of the other ingredients that they use: kale, avocado, cashew butter, pink Himalayan sea salt, ginger, cacao nibs, and wheatgrass. 2 lucky Shape Up participants will each receive a 6-pack of Daily Harvest smoothies, and can choose which flavors they’d like to try. 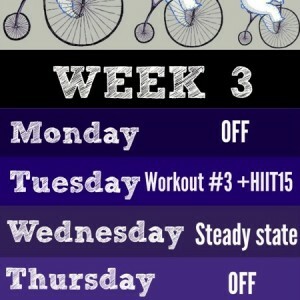 Leave a comment below EACH TIME you complete a workout this week! That’s right, you have multiple chances to win. 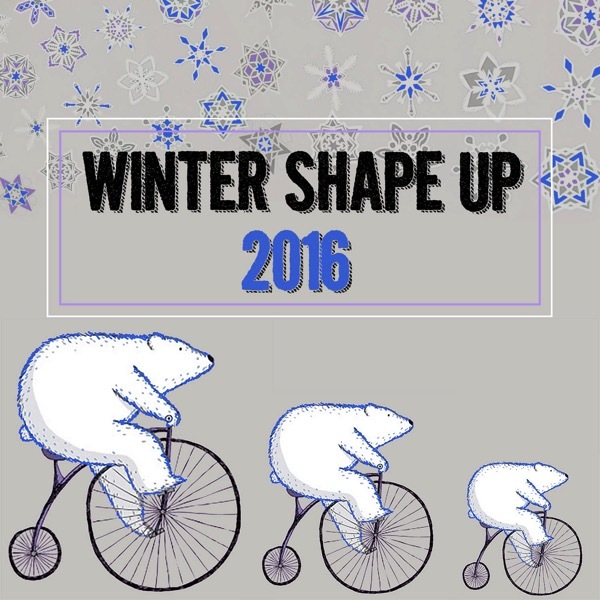 Winter Shape Up: 2016 Week 2 + Crunch Live giveaway! Active rest day today – outside stroll with the little while the hubs got a jog in. Beautiful weather! Completed second Workout 1 session today, bringing me back on schedule! I had a date with the foam roller and stretched today. Can’t wait to start another week fresh tomorrow! 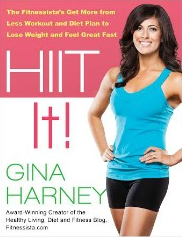 HIIT work out for me today!! Workout #1 today – hot here in Panama! I was a sweaty mess without the workout then even more! Did three rounds of Workout #1 tonight and got the husband to join for a second time! Love the HIIT/Strength Combo and love even more that I can get him to join me for this one! Checking in for my rest day today, which included a brisk morning dog walk, yoga and fun time in the park with the hubs and pup. Meal prep happened too! Perfect Sunday! I did a 5 mile outdoor run this morning! Rest Day Sunday and technology disconnect. It felt good to sit and read a book. 3 rounds of the workout, 10 min abs, 10 min stretching. Also have a my first insanity class at the gym at lunchtime, I’m looking forward to the challenge. I took an active rest day on Saturday and walk almost 20,000 steps around Philadelphia. Whew! I had a limited amount of time last night since I was traveling all day, but I banged out the weights part of workout 1 (with some bonus exercises). Did 45 mins of cardio today! I got through 3 rounds minus the last cardio sesh in 20 minutes. Nice workout. Like the combo moves. Just finished workout 1! Maybe a little late, but I did it! Question for you: similar to you, I have a little one at home (3.5 mo). I workout inside during his nap time, which is great, but I’m not sure how to warm up in a 1000 sq ft house. I usually go through one round of the exercises with no weight as my warm up and then do 2 more rounds. Is that good? Or do you have a good 5 minute dynamic indoor warmup you recommend? Workout 2 and some cardio today. TGIF!